NEW YORK -- A former New York City police officer, whose claims of police corruption in the 1970s were chronicled in an Al Pacino movie, joined dozens of current and former officers Saturday at a rally in support of getting quarterback Colin Kaepernick a job in the National Football League. 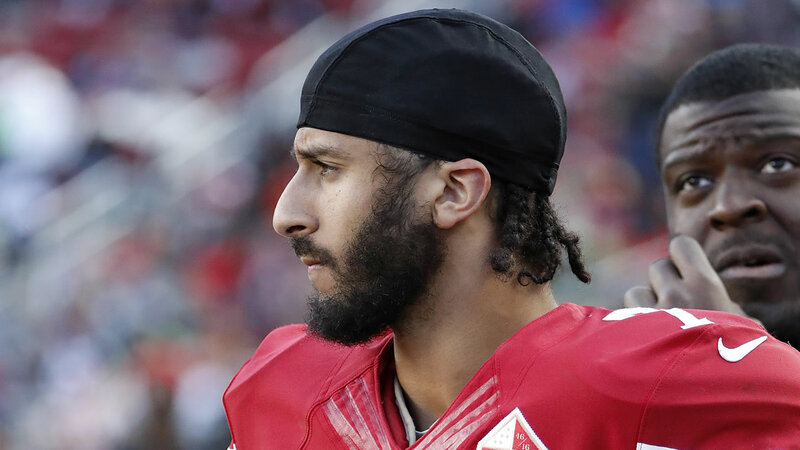 The former San Francisco 49ers player became a controversial figure last year after he refused to stand for the national anthem in what he called a protest against oppression of people of color. He opted out of his contract in March and became a free agent, but so far, no NFL teams have signed him for the upcoming season. The gathering in Brooklyn featured about 75 mostly minority officers wearing black T-shirts reading "#imwithkap." One exception was retired officer Frank Serpico, whose exploits were featured in the 1973 film, "Serpico." He admitted not being a football fan, but said he felt it was important to support Kaepernick for his stance. "He's trying to hold up this government up to our founding fathers," said the now 81-year-old Serpico. Sgt. Edwin Raymond, who said he was heading to work after the rally, spoke of the need for racial healing in the country. "Until racism in America is no longer taboo, we own up to it, we admit it, we understand it and then we do what we have to do to solve it, unfortunately we're going to have these issues," he said.